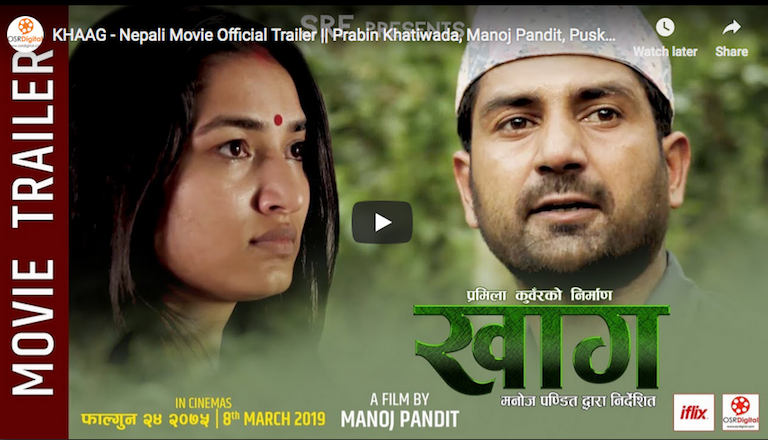 The country has achieved remarkable success in protecting species like the greater one-horned rhino, and conservationists say efforts to engage with and support communities around Chitwan have greatly increased since the 1990s. Rights activists say local people suffer due to a prevailing attitude that disregards the rights of historically marginalized people and denies them a genuine role in policymaking. 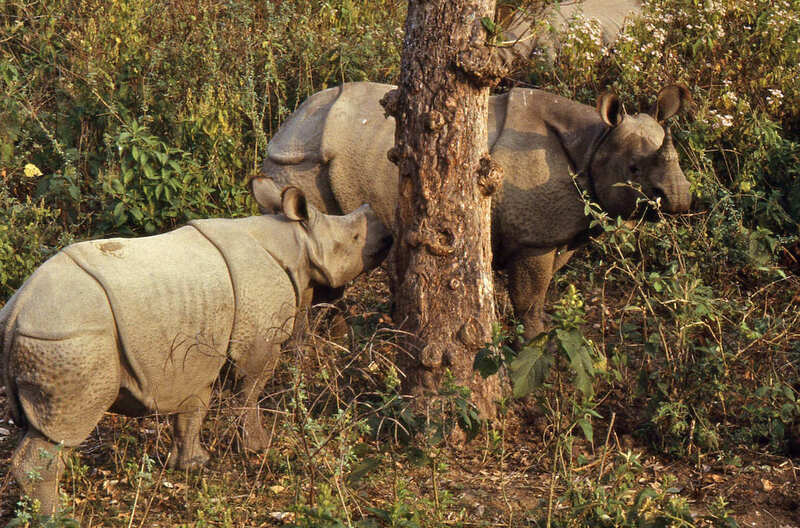 A female greater one-horned rhino with young in Chitwan National Park. Image by Bernard Dupont via Flickr CC BY-SA. 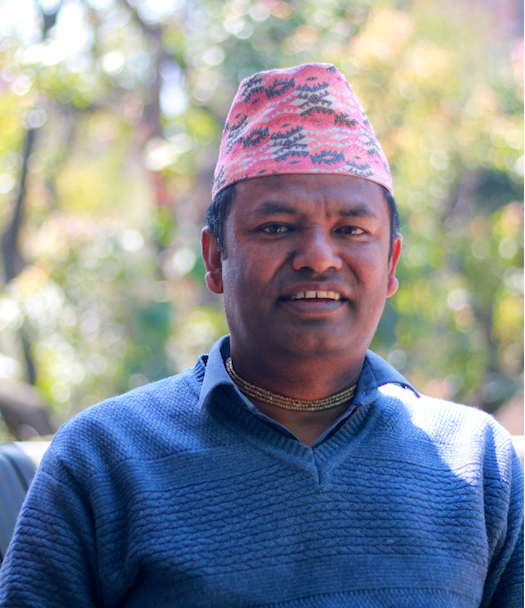 Former Chitwan warden Kamal Jung Kunwar, a polarizing figure who has been celebrated for bringing rhino poaching under control and was also charged in the death of an indigenous man. 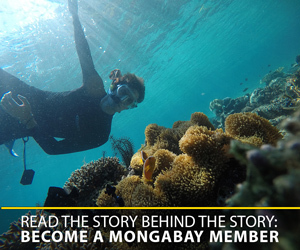 Image by Abhaya Raj Joshi for Mongabay. A Tharu village near Chitwan. The establishment of the park in 1973 contributed to the impovershment of the Tharu people. Photo by Jean-François Gornet via Flickr (CC BY-SA 2.0). 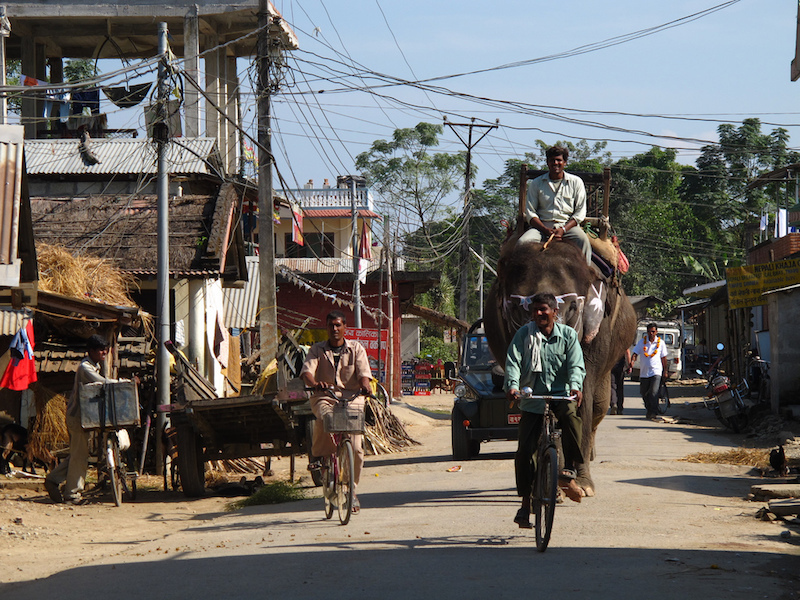 An elephant walks through the streets of Suaraha, the gateway to Nepal’s Chitwan National Park. Photo by Simon Desmarais via Flickr (CC BY-SA 2.0).